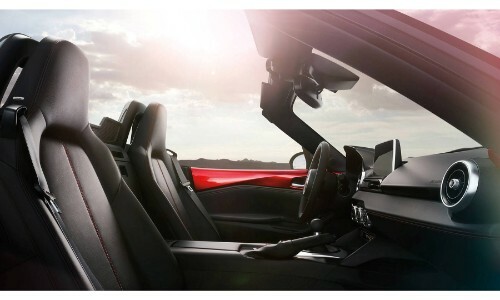 Home » Mazda MX-5 Miata » How Powerful is the New 2019 Mazda MX-5 Miata? How Powerful is the New 2019 Mazda MX-5 Miata? The 2019 Mazda MX-5 Miata, and its hardtop counterpart the RF, will be releasing later this year in the fall of 2018. 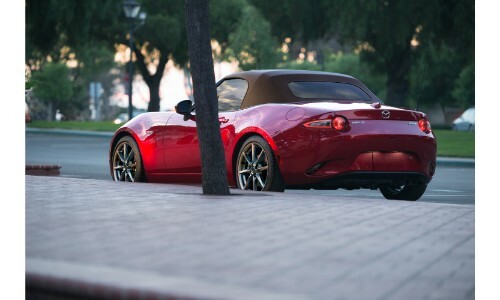 Thankfully, this new year model constitutes something of a redesign for the Mazda MX-5 Miata convertible roadster. The engine size remains the same, but its power output, efficiency, and performance features have been dramatically improved. In what ways you might ask? Well, let’s see what the 2019 Mazda MX-5 Miata has improved in regard to its engine specs! So, what has the 2019 Mazda MX-5 Miata improved upon in terms of numbers relating to power? Well, percentage-wise, the 2019 Mazda MX-5 Miata improves its power output over the 2018 Mazda MX-5 Miata by 17%. Need a clearer picture of what that means? The 2018 Mazda MX-5 Miata produces 155 horsepower and 148 lb-ft of torque. The 2019 Mazda MX-5 Miata produces 181 horsepower and 151 lb-ft of torque. Want to learn more about the performance features on the upcoming 2019 Mazda MX-5 Miata? Please contact us here at Marketplace Mazda if interested. The Marketplace Mazda dealership is located in Rochester, New York within Monroe County! What are the Trim Levels of the 2019 Mazda MX-5 Miata? What are the Color Options for the 2019 Mazda MX-5 Miata? What are the Trim Levels of the 2018 Mazda MX-5 Miata? This entry was posted on Wednesday, August 1st, 2018 at 6:03 pm	and is filed under Mazda MX-5 Miata. You can follow any responses to this entry through the RSS 2.0 feed. You can skip to the end and leave a response. Pinging is currently not allowed. What Engines are on the 2019 Mazda6?